Exclusive Premiere: Legend – ‘Charging the Field’ – Ouch That Hertz! What does it take to be a legend? Is it making incomparable milestones, breaking world records in summit, overarching and usurping another’s title for glory? Is it courageouness- do we measure a legend by their steadfastness in heart as they launch themselves into improbably difficult situations, with the intent and mindset to perservere? Perhaps we look at fame- are the appearances and color-swatches, the deftness in style and lines, and the accolades and entourages surrounding an icon enough to warrant such a hefty claim? We’ve never been truly consistent in marking who or what designates an exact Legend, but if ever we can agree on one thing, it’s that an overachiever will never reach the level of greatness desired. In part because setting that sort of time-locked tantamount goal- and doing anything to reach it- will surely set the seeker up to fail. But what truly sets overachievers aside from true legends is the concept of being a legend as a tangible substance- a medal awarded at the summit or at the exhibition, a title that somehow exempts them from ordinary life and declares finality in their quest. “Congratulations, you’ve done it! That’s it!” What an utter falsehood, wouldn’t you agree? The achievement is continuity, not the action already accomplished. Chopra’s mindset is the exact approach that everyone should take in life, and it’s one that St. Louis, MO progressive death/black metal outfit Legend has been harboring since their inception. Patience, time, and passion has carefully crafted their signature aural assault, building brutalizing riff after brutalizing riff with the utmost care and practice. Their devotion to their artistry, coupled with their infatuation for meticulous design and stark enthusiasm for the craft of, dare I say, Metal-working has culminated in this exact moment: Charging the Field; their brazen display of musicality seemingly knows no bounds, dashing through hellfire and brimstone to just purely exist, leaping over the carcasses of those who crumbled in their wake; rushing, eyes filled with an intense heat, upward and onward, never looking back as their breakneck speed continues. Or, so Legend has it. 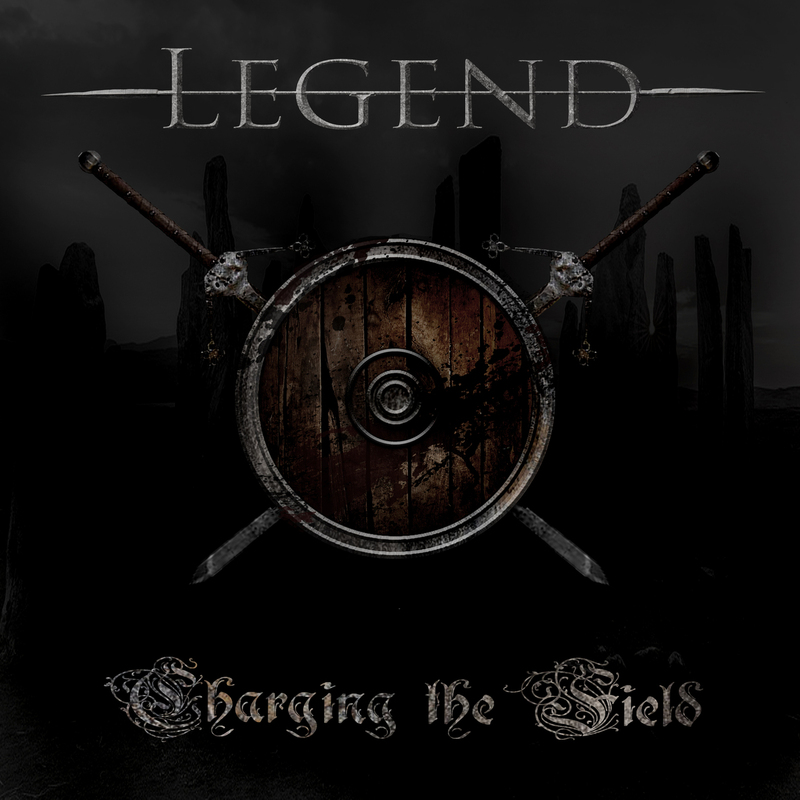 Today, we have the utmost pleasure and excitement in aurally assaulting you with the exclusive premiere of Legend’s Charging the Field album stream! Charging the Field officially drops on the market tomorrow (10/20) via a collaboration of Imminence Records and Unholy Ararchy Records, which means you still have the opportunity to pre-order physical and digital copies at the link below! Sit back, click play, and watch a Legend unfold before you. Legend is a progressive death/black metal project from St. Louis, MO, whose forthcoming EP features current and ex-members of Misery Index, Scour, and Strong Intention. The band tracked all drums and guitars at Apollo Audio with band member/engineer Ryan Vincent Mullins with mixing done by acclaimed Swedish producer/musician Dan Swanö (Edge Of Sanity, Bloodbath, Katatonia, Opeth). Titled Charging the Field, the EP is a product of a collaboration between the band and Mark Kloeppel from Misery Index. In September of 2017, the band announced that they had signed with Imminence Records and Unholy Anarchy Records to release the EP on October 20th. The long time friends are set to continue making Legend into a metal mainstay alongside their other projects, with this EP as a great introduction to what is to come.